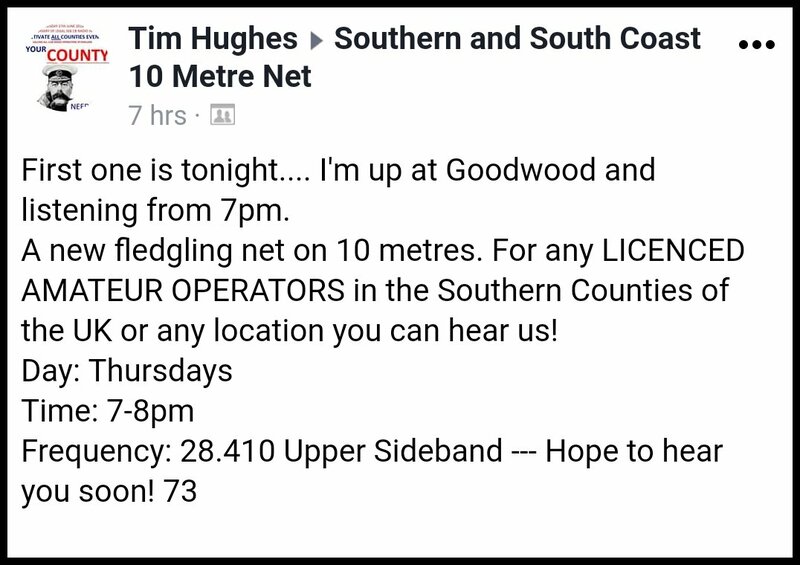 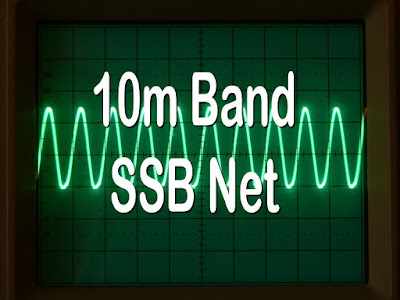 News from the Facebook page of The Southern And South Coast 10m SSB Net. 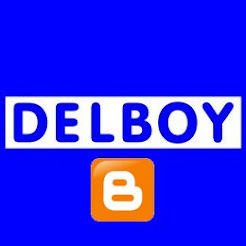 Their first ever weekly SSB net takes place tonight (29/03/18) between 19:00 - 20:00 hours BST(GMT+1) on 28.410 USB. 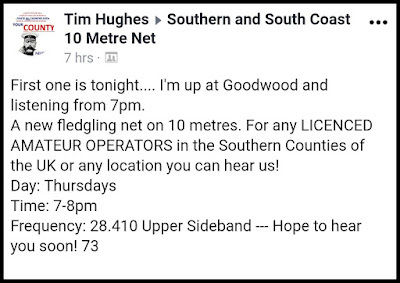 They hope to be operating every Thursday evening from now on so listen out and join in with the fun.